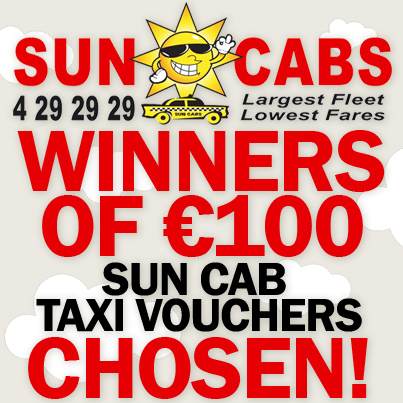 We are delighted to announce that the winners of our competition for €100 worth of Sun Cab taxi vouchers have been chosen! And the winners are Lorraine Walsh and Catherine Murphy – a big congratulations to you both from everyone at Sun Cabs! If you could get in contact with us we will arrange for your vouchers to be dropped around to you!